Well, it’s been another stormy day here on Prince Edward Island. Don’t know why but I have a tendency to want to make Belgian waffles on storm days. Maybe it’s because I have the time, or maybe it’s that I know I’d have the ingredients and don’t need to shop in order to make the recipe – don’t know. Anyway, today was the day to make waffles. 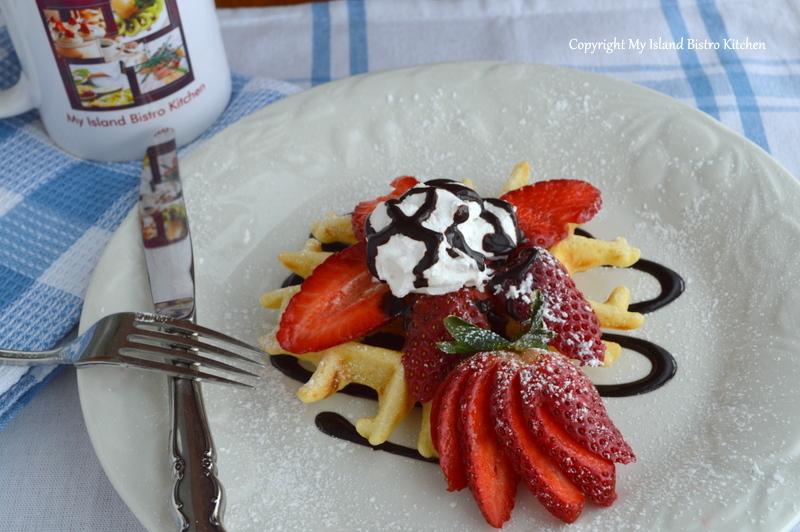 The first time I had Belgian waffles was in Ogunquit, Maine, a long time ago. We used to vacation there and we found a wonderful little café that opened only for breakfast and their specialty was the Belgian waffle served with huge, fresh Maine blueberries. 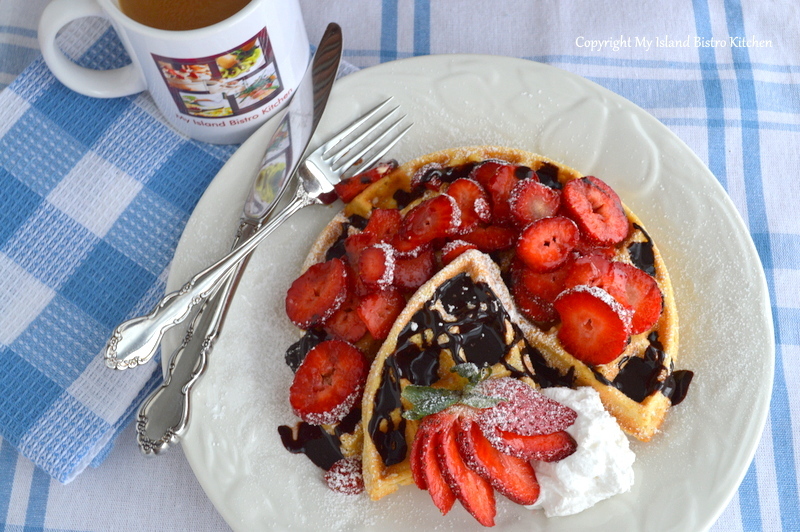 Naturally, a Belgian waffle maker had to be purchased so we could make them at home! 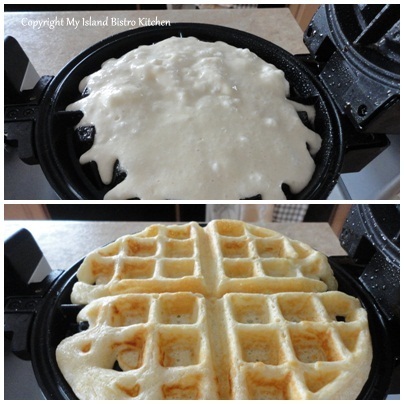 Waffles are very versatile. They can be a breakfast food, eaten at brunch, lunch, for dessert or even as a main course for dinner, depending on the topping. There is nothing like creamed chicken atop a puffy Belgian waffle for good old-fashioned comfort food! Imported strawberries have been available in local supermarkets and at a good price the past couple of weeks. Despite their travel time to get to us, their quality and flavour have been quite good. I had a large container of them that I knew wouldn’t keep much longer. I also had a craving for a rich chocolate sauce this afternoon. 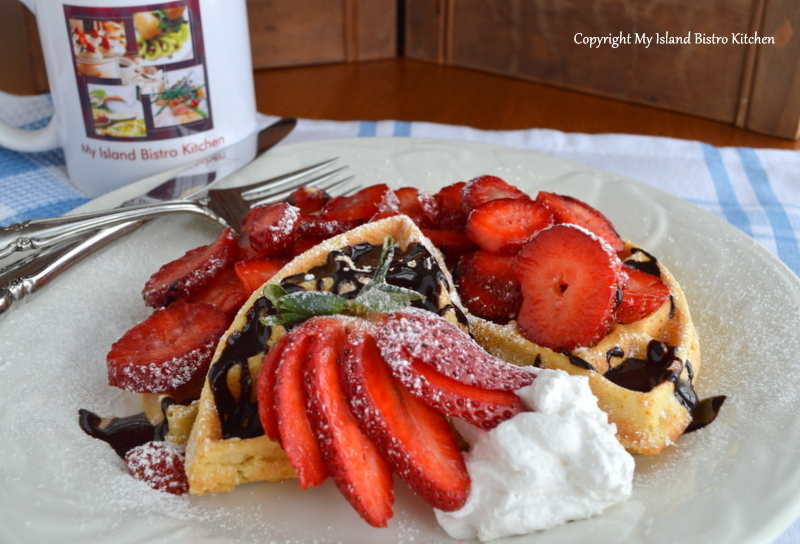 So, why not take a lowly basic waffle and dress it up for a tasty lunch. For this presentation, I made a smaller waffle (using about 1/2 cup of batter). Separate the eggs. 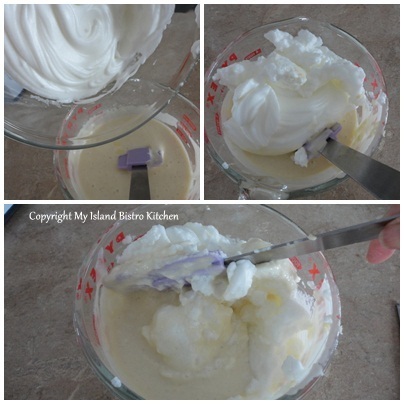 Beat the egg whites stiff. Set aside. 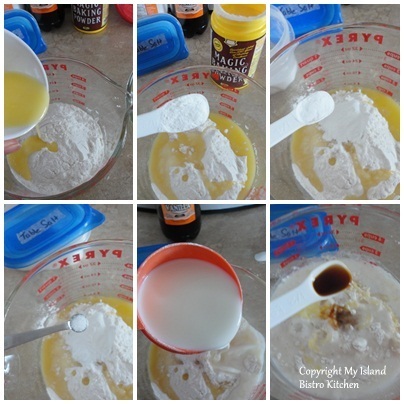 In separate bowl, mix the egg yolks and all remaining ingredients. 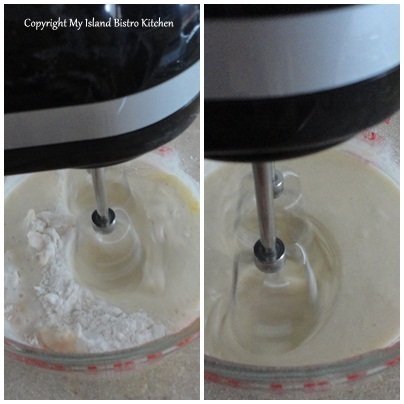 With electric mixer, beat until well-blended. 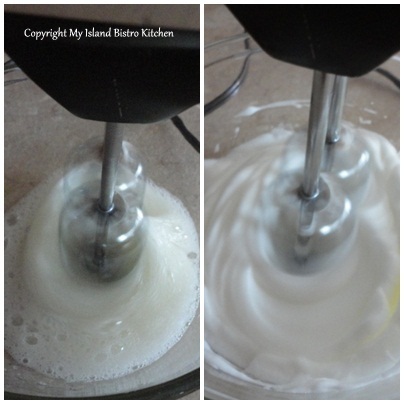 Gently fold the egg whites into the flour and milk mixture. Fold just until they are incorporated. This will yield a light, fluffy waffle. 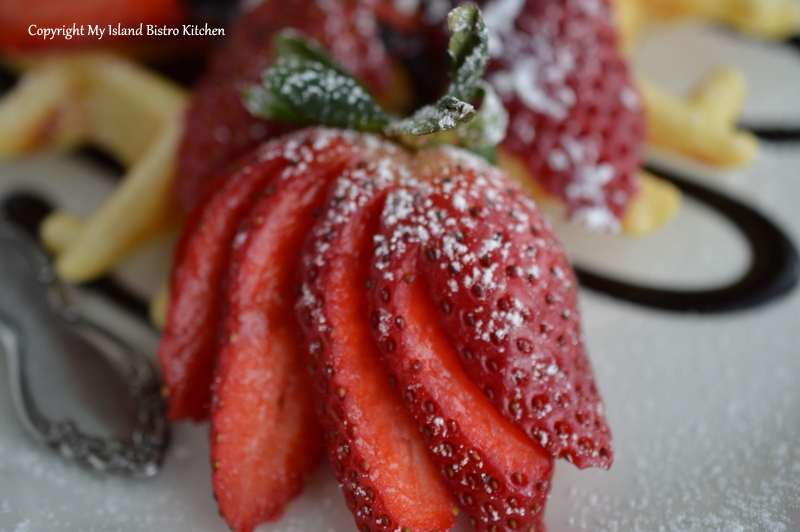 To serve, add sliced fruit, a dollop of whipped cream, and drizzle with your favorite syrup. Dust with confectioner’s sugar. 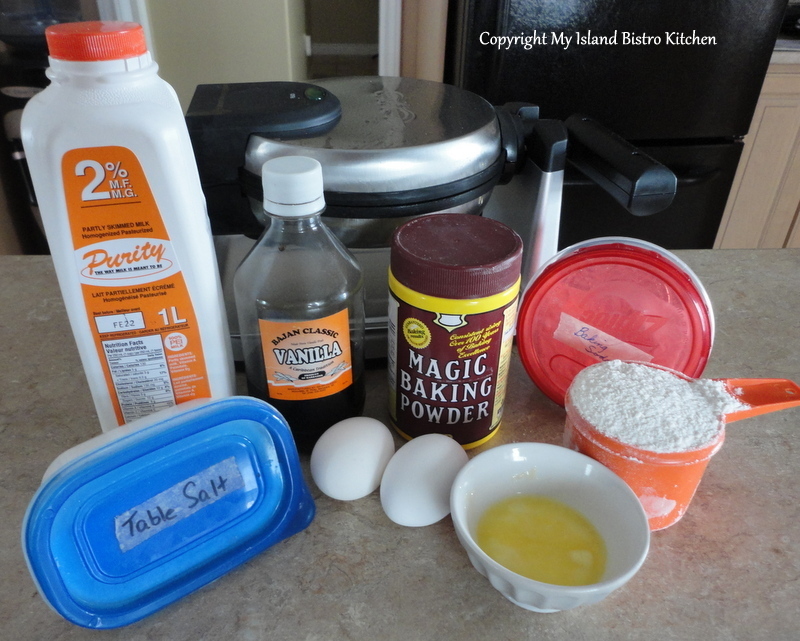 To make a more hearty waffle, use between 3/4 – 1 cup of batter.